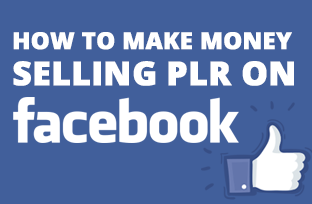 Today, I’m going to be showing how you can be selling PLR products on Facebook. Not only PLR products, in fact, any digital product. When I mean any digital product, I mean, you can be selling anything other than PLR. 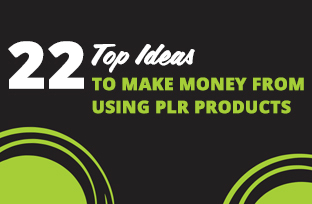 For anyone who has asked the question on how to use and make money from PLR products correctly, I’ve created a list of 22 top ideas on how to use them and better understand some methods in doing so. Do you feel overwhelmed by the number of self-proclaimed sales gurus and quick marketing schemes claiming the power to help you get rich quickly by selling digital products? Have you ever tried to sell PLR products on eBay? Maybe you have but wasn’t as successful as you’d like to be. Begin successful selling digital products on eBay takes some strategies and determination. Slapping up a product and hoping it’ll sell will yield little results and if any at all. If you’ve ever wondered about PLR then I’ve created a short video on some of the things you should consider when downloading, purchasing or looking for a PLR product and some questions you should ask. A very common question that arises occasionally is, ‘what are resell rights?’ A lot of the time people ask me “what are resell rights”, “how to get them” and “how do I sell them?” Within this post, I’ve outlined exactly what are resell rights and why these items can be resold. The vast majority who purchase PLR products never really get around to executing them. Rather, it just sits on their hard drive gathering “digital dust.” Today I’m going to teach you some top tips how to change this. There are essentially a number of various ways in which you can profit through affiliate marketing. Within this article, I will be discussing some of the best methods that will benefit you as an affiliate marketer. One thing is having digital products with licenses that allow you to resell them and profit from them. But knowing where to sell them is another thing altogether. I’m going to show you some of my personal best online marketplaces to sell your digital products.